In the real world nothing is absolutely bulletproof. The Kevlar made bulletproof vests are actually bullet resistant and graded to a specific level of protection according to the international standards for ballistic resistance, one of the most used is NIJ 0101.04. The reality is that bullet resistant vests don’t protect the wearer from every single threat existing, instead they are designed to withstand specific calibers and types of bullets. And for stab protection you’d need a completely different type of body armor with very specific ballistic systems. Wearing a bulletproof vest does not turn you into Superman. Our advice: Carefully consider what type of threats you’ll need to be protected from and order vests designed to defeat them. The majority of body armor produced by MARS Armor has a 5 to 10 years of warranty. The vests are designed to keep their protective qualities for the specified period. A body armor which is worn every day loses the protective capability quicker than the one which sits on a shelf. No matter how much time the body armor has been worn, the vest should be carefully looked over for any signs of damage – creases, tears, smells and burns. If properly taken care of, the vest should last for the entire warranty period and even a long time after its expiry. Our advice: Check regularly your vest for signs of external damage and be sure to follow the care instructions. It is a good idea to have two carriers for your armor. In this way you’ll always have a ready to wear vest, even if you’ve just washed one of them. The alternative is to skip wearing your vest when you’ve washed it, and this could be dangerous. So it’s important that you have a minimum of two carriers – one to wash/clean, another to wear. Our advice: Get a spare carrier. Keep the carriers clean and dry to ensure the ballistic panels will last for the entire warranty period. The ballistic panels are the part of the vest which provides the actual bullet resistance. To ensure their proper function, you must store, use and clean them exactly as the manual specifies. When you need to clean the vest’s ballistic panels, use a damp sponge and a mild soap. Never, toss them into the washer and/or dryer. Never iron them either, as irons will cause the fiber to burn or melt. Our advice: Follow the cleaning instructions to the letter. Do not launder or dry clean the body armor! Don’t forget that ballistic panels comprise of several layers of bullet resistant fibers. If they become bent or are out of shape, you cannot straightened them out or iron them out. So, if you lay your sweat vest on the floor in a crumpled mess, it’ll dry like that. Our advice: It’s best the panels and carrier be laid flat to dry off in well ventilated places with no direct sunlight. You can store the vest assembled and put on a hanger in a closet. It’s a really bad idea to go swimming with your body armor on. 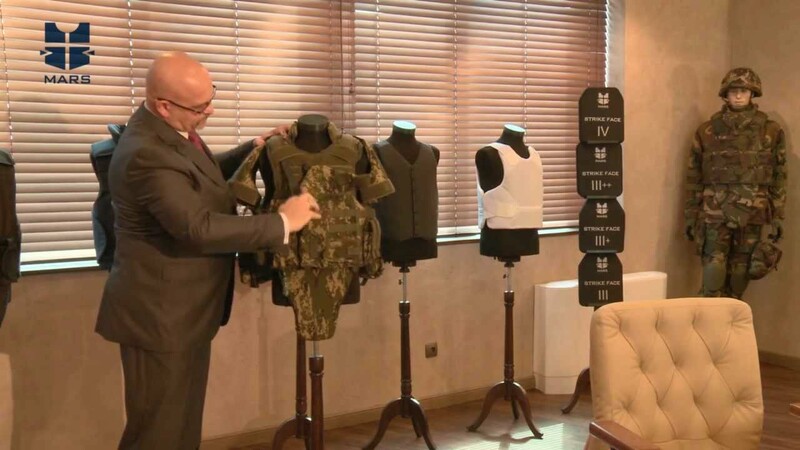 The reason is that some bulletproof vests (cheap versions) lose their ballistic performance when the ballistic material gets in direct contact with water. When this happens, it makes it susceptible to bullet penetration. All vests produced by MARS Armor are made with water resistant armor panels. Our advice: Always check the ballistic panels for water resistant covering. Avoid buying cheap armor which can get penetrated after the first rainfall. The size of the vest is important to match the wearer’s body. It is a wrong the impression that the bigger the vest, the more protected you are. The user needs to feel comfortable with his body armor when sitting, running or performing his regular tasks. The movements should not be hindered by excessive protective area. Our advice: When a person is being fitted for a vest they need to take and hold a deep breath, to get the right size of the body armor. If you change weight, you need to get a new vest or choose a model which allows improved size adjustment. Ballistic panels are meant to fit into the carrier in a certain way. If the wearer puts them in wrongly, the results could be lethal. The panel’s strike face is created to stop and disperse the energy of the bullet. The backside of the panel is created to reduce the trauma. If the panel is flipped, there’s no guarantee that the system will work. For some ballistic solution, the strike face can be the both sides of the panel. Our advice: Always insert the panels as noted in the instructions, usually there are labels on the panels to point which side must be facing the body. The warranty of the body armours is voided after a bullet or stab impact. The ballistic material is damaged in the area in and around the impact location and the further usage is not advisable and only at wearer’s responsibility. It cannot be repaired but only replaced in order to continue using the product with warranty coverage. Our advice: Do not wear a vest that has been shot by a bullet or stab. You may send it to the manufacturer to be recycled or order a spare part for replacement. Do not try to repair the body armor or its components by yourself. For optimal performance of their duty, women should only wear vests designed to cater to them. MARS Armor’s Ladies’ vests offer additional trauma security for the chest, have special ergonomic shape to fit the female body, and are designed with the appropriate bra style cups of the front ballistic panel – similar to designs of one-piece swimming suits. Our advice: For maximum comfort and performance female officers should get women’s body armour. These are just a few basic details you need to know about body armor and how to care for yours so it would keep its ballistic resistant qualities. Make a wise choice for your stab & ballistic protection, and take care of your body armour, as if you take care of yourself and your health.